Welcome to Meet Your Maker! This blog series will introduce you to the individual artists and businesses that you support when buying something handmade here at Homespun. We hope the series will help you better understand the thoughtful choices and meaning that go into these artists’ goods, better appreciate the value of a handmade item, and possibly learn a bit about different crafty processes. 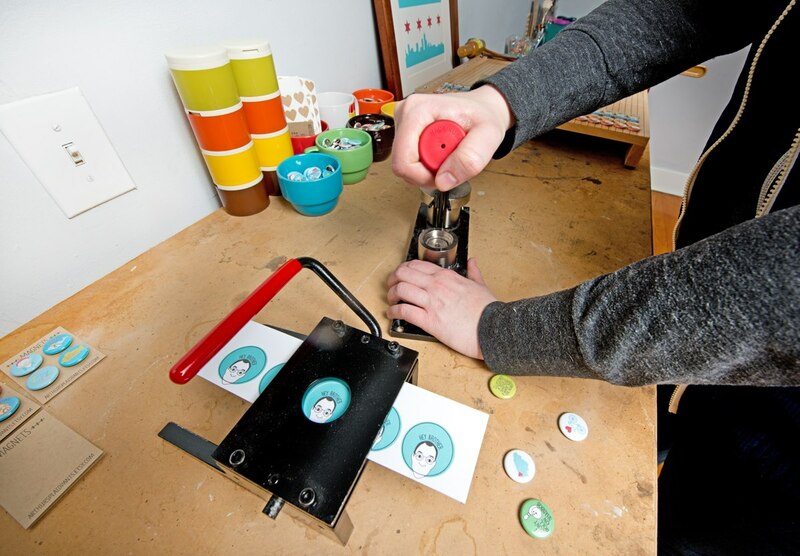 You may even meet a neighbor, as many of our makers work right here in Indianapolis! We’ll start (or rather, revive) this series with Michigan-based illustrator Jen Husted-Goss, the force behind stationery and print company Arthur’s Plaid Pants. 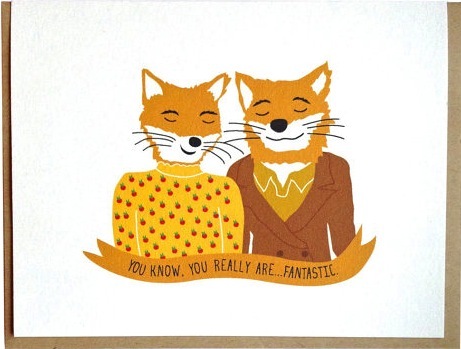 We’ve been working with Jen for almost a year now and her designs are constantly making us and our customers laugh. We’re so happy she’s on board! 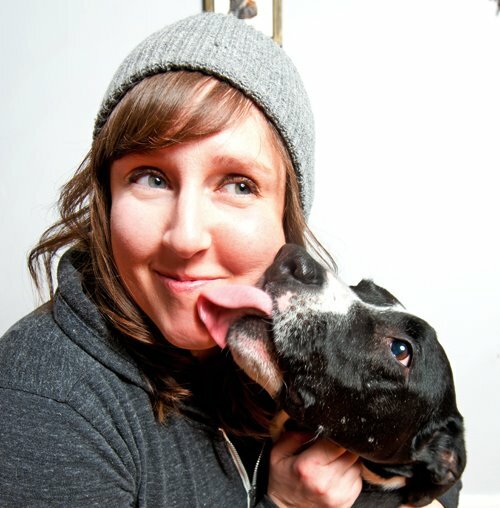 Jen and her dog Rocky. What do you love to make? I really enjoy creating illustrations that make people laugh. Why do you love to make it? If it puts a smile on someone’s face or makes someone laugh out loud, then I’ve done my job. Greeting card illustration by Jen. 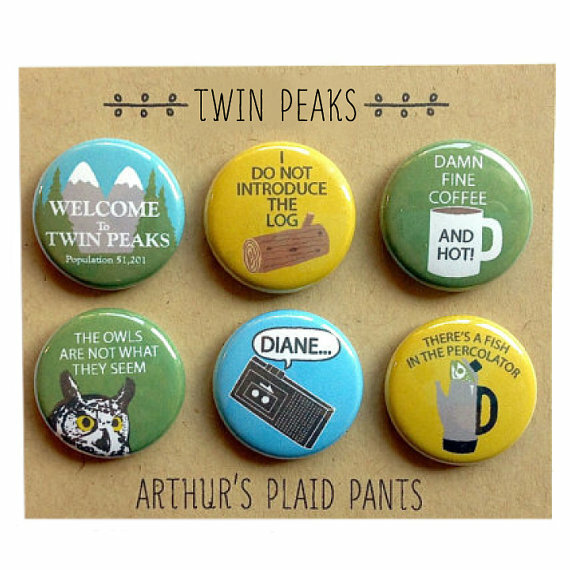 Button set designed by Jen. 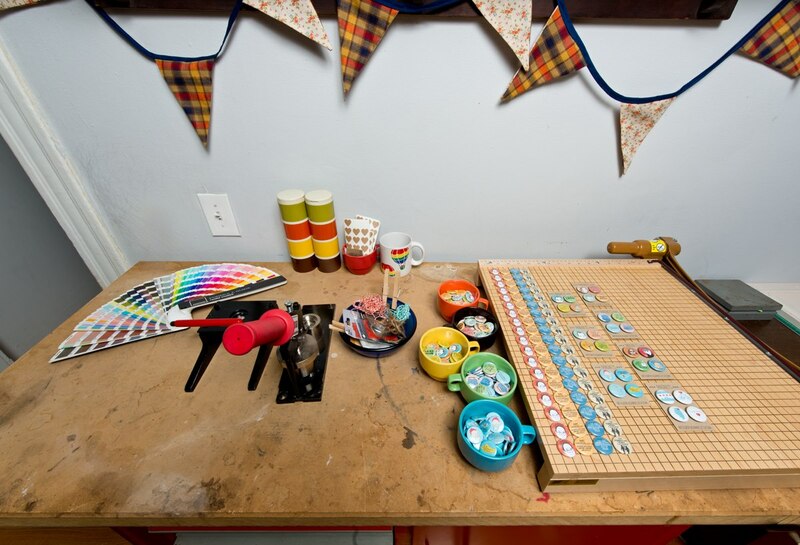 How did you get started with your crafty business? I’ve been a graphic designer since the early 2000’s. I co-owned/operated a design firm in Chicago for four years before deciding to branch off and focus solely on my illustration. That’s when Arthur’s Plaid Pants was born. How long does it take to create a new design? It depends on the piece, but every product starts off as a hand-drawn illustration. Once the drawing is complete, it gets scanned into the computer and is colored digitally. Once I’m happy with the digital design, it’s set up for print. Greeting cards are printed at a local, family-owned, eco-friendly printer. 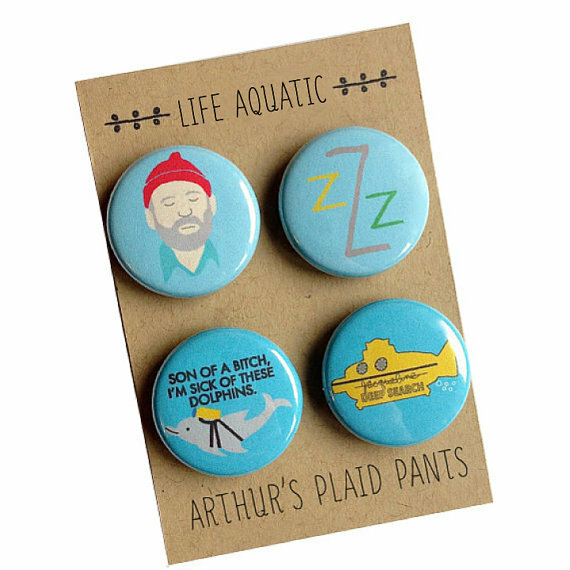 Pinback button and magnet sets are printed, cut, hand-pressed and packaged in my home studio. It’s a lengthy process since we do everything by hand. What makes a handmade item valuable? The satisfaction of supporting the single handmade artisan. 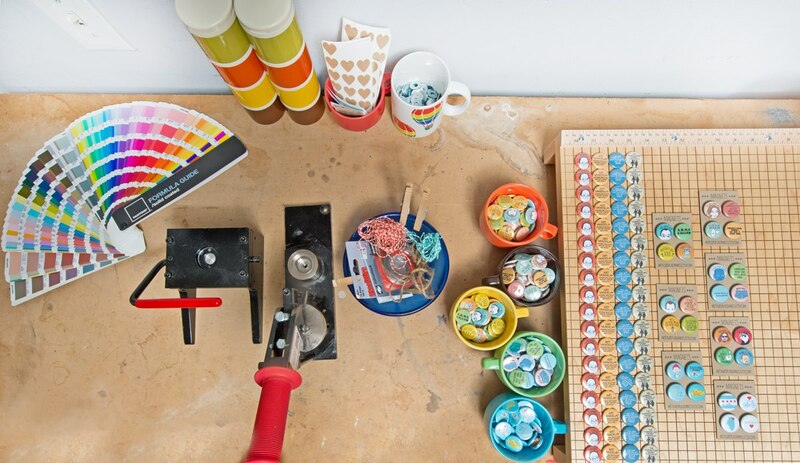 Handmade artists pour their heart and soul into their products and their businesses. Nearly all of the raw materials I use are from local family owned businesses. So you’re not just supporting me, you’re also supporting other family owned businesses when you purchase my products. What’s your favorite handmade item that you own? 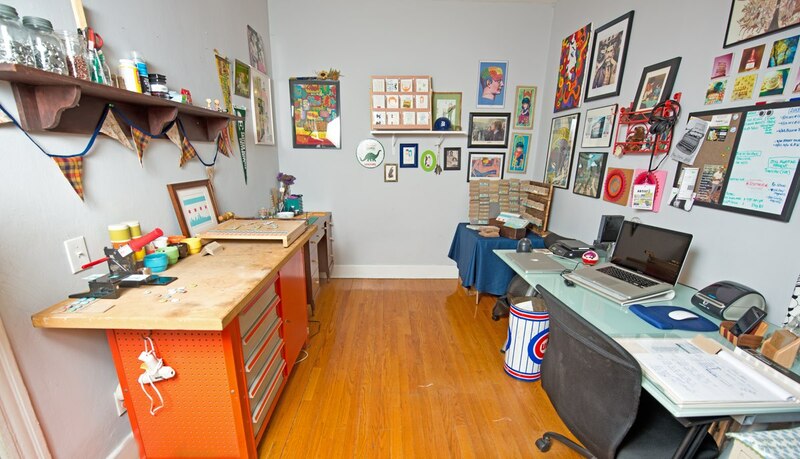 Jen’s studio in Grand Rapids, MI. What do you wish people knew about what you do? Our commitment to green standards and our policies on utilizing local companies. • Greeting cards are printed at a local, family owned printer and are 100% recycled, FSC, WWF & Rainforest Alliance Certified. • Our wholesale catalog is only available in a .pdf format. We do not use a printed paper catalog which saves a tremendous amount of paper. Each year I review our business practices and try to up my game from the previous year. Magnet set designed by Jen. Thank you, Jen, for participating in our series! You inspire us! Be sure to stop by Homespun to check out Jen’s work in person, and please stay tuned for more maker interviews!